Stop whatever you are doing right now and take a moment to think. Think about what you’re doing every day, and WHY you’re doing it. 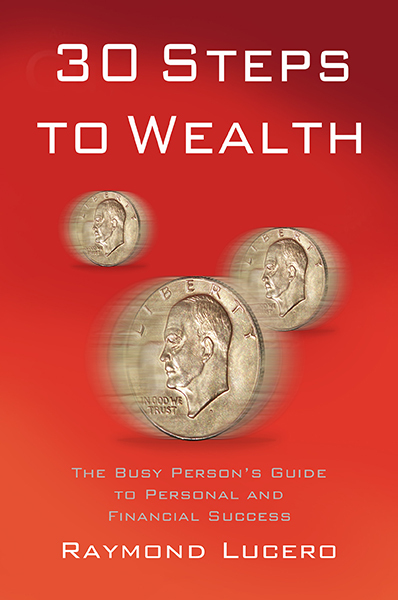 Many of us live life on automatic… and then we die without achieving anything worthwhile. How do you change that? W. Clement Stone said that you have the power to change the course of your destiny, and that power is THOUGHT. 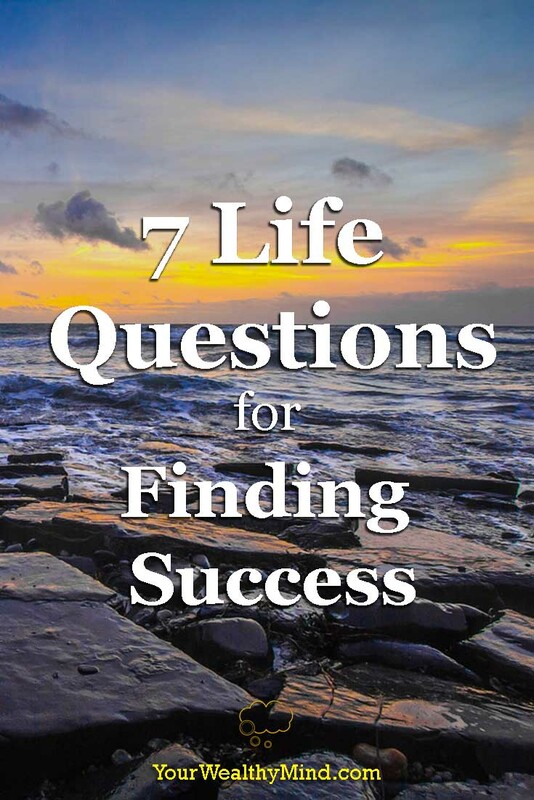 That is a power that you can ignite by asking questions, like the seven questions here! Instructions: Take your time to read, understand, and answer each question carefully. Don’t rush. Remember, the goal is to spark thought. If you don’t have time for them now, bookmark this page or share it on Facebook so you’ll remember to do it later. If you’re ready, then let’s get started. 1. What are my Goals and Dreams? What do I want to achieve before I Die? A ship without a destination is lost, and a life without goals is wasted. You’ll never help a million people, you’ll never save lives, and you’ll never be wealthy unless you make them your goals and work to attain them. 2. Do I have the right goals? Many spend lifetimes climbing the corporate ladder, earning money only to buy more stuff, and forget that they’re part of something greater. Think carefully about the goals you’ve set and make sure they’re the right ones: Goals that will make you happy and hopefully make the world a better place. 3. Do my Goals and Dreams Inspire Me? Get promoted, buy a new car, get a bigger house, etc. Ordinary goals get ordinary results. Save lives, build schools and hospitals, write a book that will inspire a nation (like “Noli me Tangere” by Jose Rizal), etc. Make your goals big enough to inspire you and you’ll have the “go power” to achieve them. 4. HOW can I earn them? When you find your goals, ask yourself how you can achieve them. Think you can’t, and your mind stops working. Ask yourself “HOW,” and you will find the way. 5. Who are stopping me from attaining them? Who can help me? Aim high and many will criticize you to bring you down to their level. If you listen and let them bring you down, then you’ll certainly lose. Find those who can help you, those who are better and more successful than you, and hang out with them instead. Also, never forget this: When it comes to working for your dreams, you are your own greatest ally, and your own greatest enemy. 6. What am I doing RIGHT NOW to reach my goals? Stop and take a good close look at everything you do, the number of hours you spend watching TV or browsing Facebook, the books you don’t read, the business you are or aren’t building, and more. Everything you do and everything you DON’T do affects your life. You’re either working to make your life better, or you’re making it worse. 7. When will I start? The phrase “I’ll do it when I have time” has killed a lot of dreams. You’ll never have free time unless you MAKE TIME. While you procrastinate, your lifespan is melting away like a lit candle. 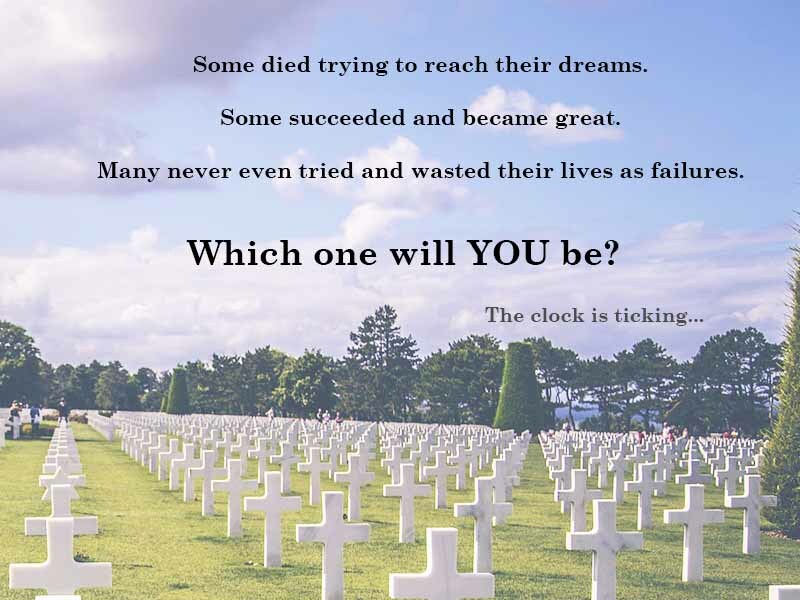 20 years from today, you’ll wish you started NOW. Remember those questions and think about them carefully to avoid living a life without meaning. – Write down the seven questions or print them out. – Write down your answers. – Post them when you can see them every day. Don’t let yourself get lost in making a living that you forget to build a life worth living. 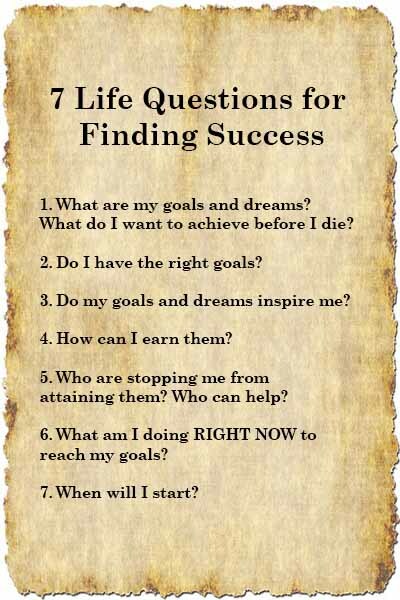 These questions are guides to help you find your direction, but the journey to success if yours and yours alone. 5. Who are stopping me from attaining them? Who can help? If you liked this article, share it on Facebook!